This entry is part 1 of 10 in the series Best Restaurants in Belgium. 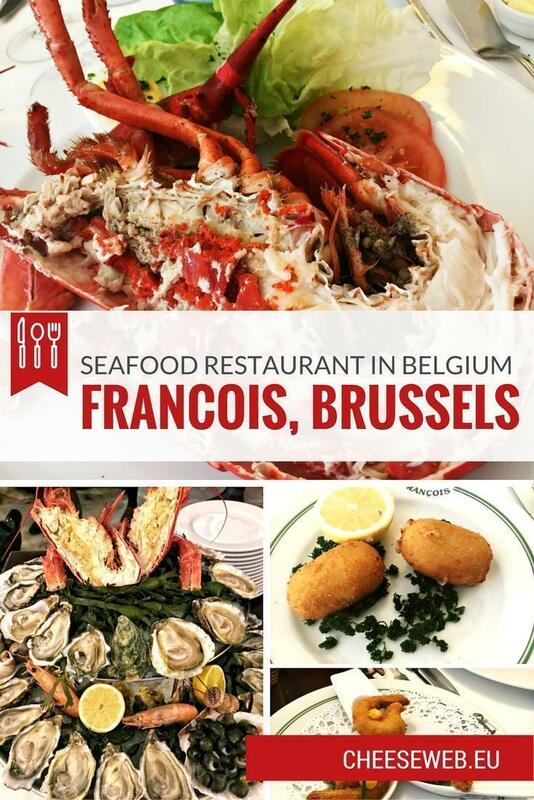 Restaurant Francois is known in Brussels for its fine seafood and exquisite dining. So, when I was invited for lunch to discover their new Christmas menu, I was excited! Francois Restaurant, Brussels has two dining rooms, an informal one with an open kitchen and also a formal dining room with a dramatic red carpeted staircase, all adding to the elegant atmosphere. The formal and the informal dining rooms of Restaurant Francois on Place Sainte Catherine, Brussels. This top seafood restaurant also has some outdoor seating, a valet service, and a delicatessen boutique (known as Traiteur Francois in French). 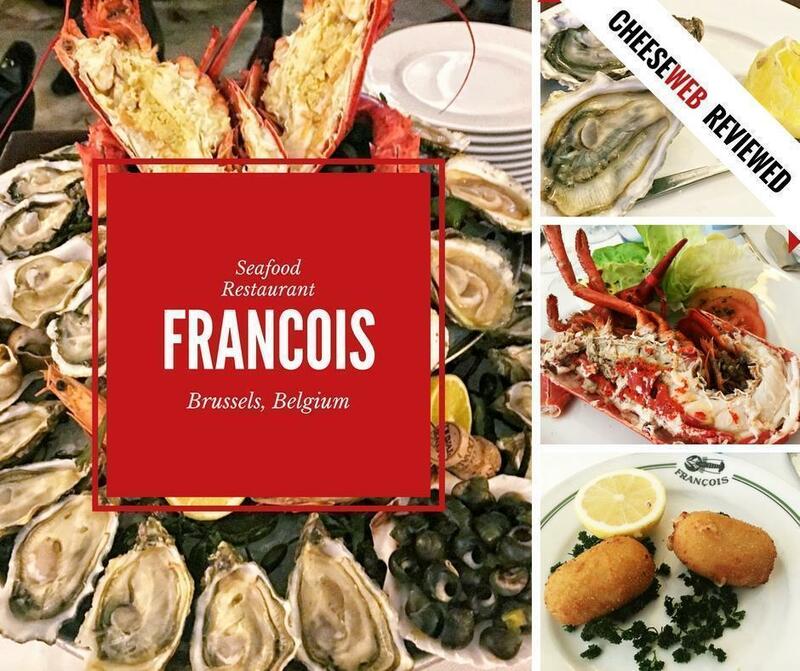 Francois Traiteur has been serving customers since 1922 with its range of fresh seafood, salads, dips and other products. 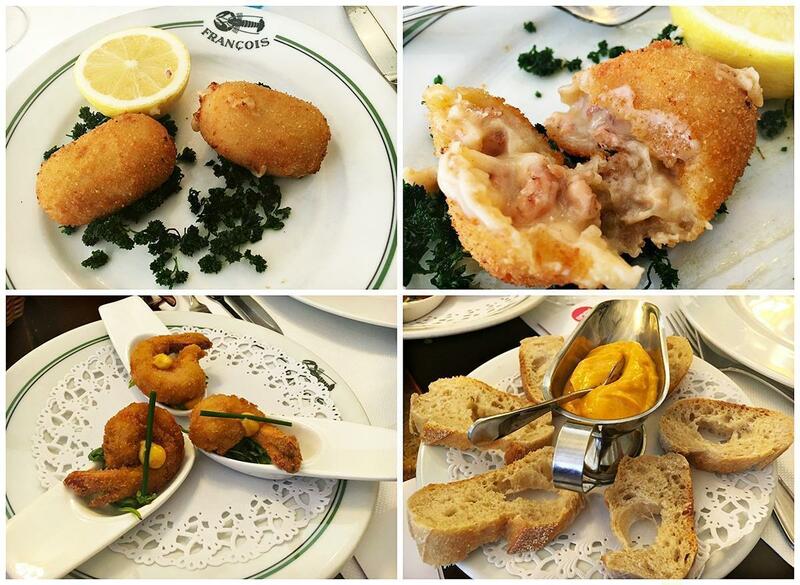 Francois Traiteur with the best selection of seafood on Brussels’ Place Sainte Catherine. We were welcomed with a goblet of Duval-Leroy (Brut) champagne, with a huge platter of the choicest oysters and shrimps. There was an incredible selection of oysters, ranging from flat to hollow, sourced from Zeeland in The Netherlands, Laugier and St Vaast in France, all of which are available to restaurant patrons as well. An amuse bouche, consisting of fresh shrimps fried in a tempura-like batter came next. It was accompanied by some appetising bread and mayonnaise, called the ‘Francis’, which has been specially created with secret spices for this festive season. This was followed by the traditional Belgian delicacy, grey shrimp croquettes, which were crisp on the outside and deliciously warm and tender on the inside brimming with North Sea shrimps. It was cooked to perfection and delightfully paired with Domain Jean-Michel Sorbe, a white wine from Western France. Next on my plate was Francois most acclaimed dish, a half a lobster served with salad and boiled egg, cooked Belle-vue-style. The customer can also choose lobster cooked in other recipes like Armoricaine or with coral butter. The lobster was divine and was definitely the highlight of the meal. The restaurant’s excellent reputation for lobster is well earned. 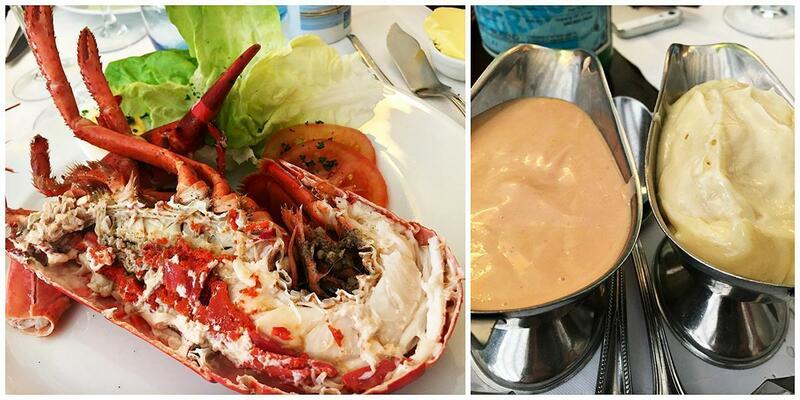 Each lobster is carefully chosen and cooked to perfection as per the recipe. The lobster costs 30 to 89€ depending on the size and can even be delivered to your home. Lobster, the Belle-Vue way, accompanied by sauces created at Restaurant Francois. Belgian chocolate mousse and an assortment of chocolates were the ideal way to end this wonderful lunch. The mousse was heavenly with a rich nectarous centre of hot chocolate. It provided the perfect sweet closing note to the meal. 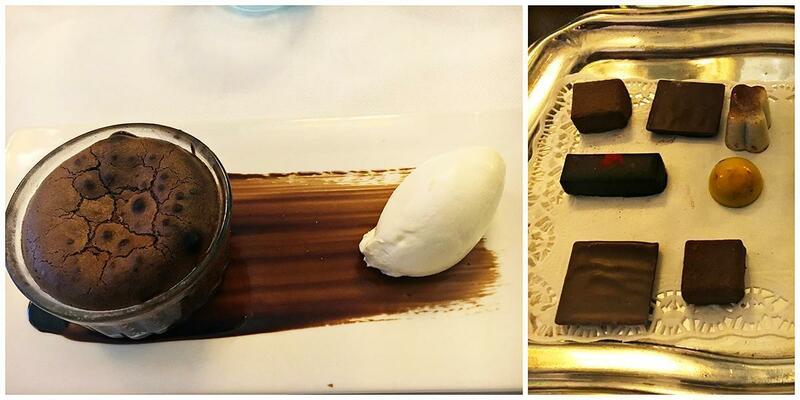 Belgian chocolate mousse as a sweet finale to the meal at Francois Restaurant, Brussels. Restaurant Francois is almost 100 years old and still preserves the authentic food traditions and recipes initiated by the founding family, the Veulemans. The management informed me the various seafood platters could be ordered over the phone or on the website. The platters range from 79 to 130€ (for 2 to 4 people) and consist of the most fantastic oysters, jumbo shrimps, salmon, mussels, clams, etc. accompanied by the secret recipe mayonnaise. 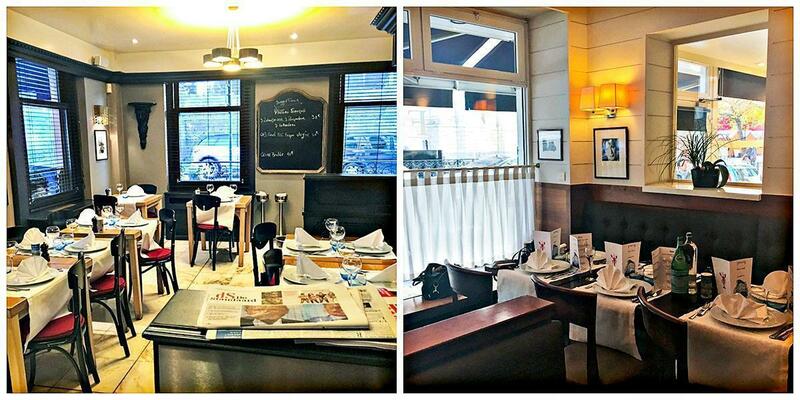 You can enjoy a fine-dining experience at a Francois Restaurant with your family, from Tuesday to Sunday. You may even spot one of the many celebrities who dine here. The food is definitely worth every penny, as you are aware each morsel of seafood has undergone a rigorous selection process, is cooked with the finest ingredients by a skilled chef, and presented to you in an elegant atmosphere with utmost attention to your needs, making you feel very special. So, enjoy a visit with your family to this renowned restaurant and make the most of this festive season! We’d like to thank Restaurant Francois for hosting Monika’s fantastic seafood lunch. As always, all articles on CheeseWeb remain the views of their writers.